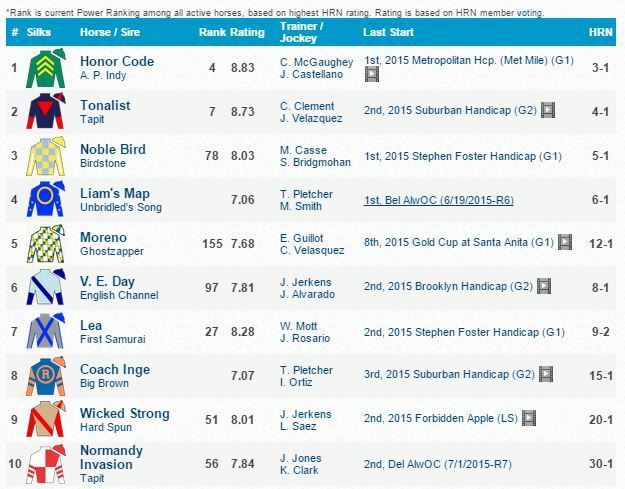 The 2015 Grade 1 Whitney from Saratoga Race Course is a stellar edition featuring seven Grade 1 winners including morning line favorite Honor Code. Honor Code was sensational in the G1 Met Mile but his last three wins were around one turn and he will try to sustain his devastating late kick over a route of ground. The other six Grade 1 winners in the lineup are 2014 G1 Belmont Stakes hero Tonalist, G1 Stephen Foster winner Noble Bird, defending Whitney champ Moreno, last year’s G1 Travers winner V. E. Day, Lea, and Wicked Strong. Triple Crown 2015 winner American Pharoah makes his first start since turning the racing world upside down in the Belmont Stakes on June 6. 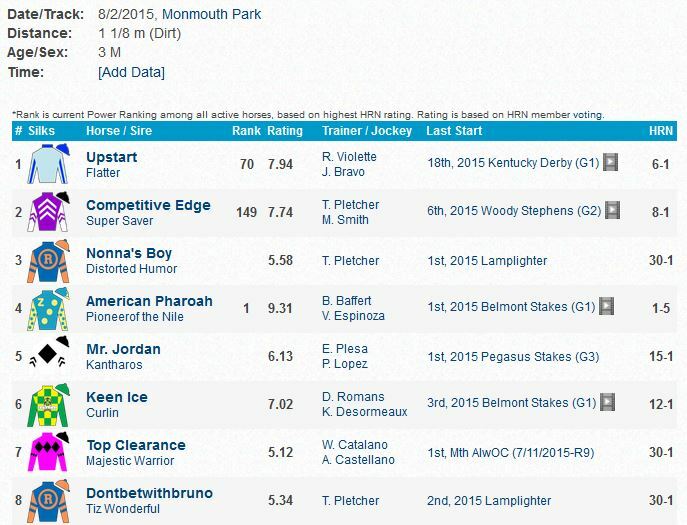 American Pharoah, trained by Bob Baffert, owned by Zayat Stables, and ridden by Victor Espinoza, puts his 7-race win streak on the line in Sunday’s Haskell at Monmouth Park.